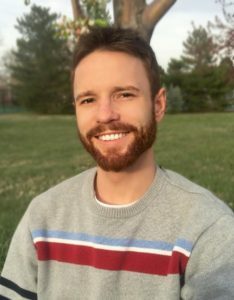 Brett earned his Master’s of Science Degree in Acupuncture from the nation’s premier institute of oriental medicine, Southwest Acupuncture College, in 2014. He graduated the year-round, 4-year program in 3 years, two of which included practicing in the schools clinic. Upon graduation, Brett Moved to China to Continue his education at both the world-renowned University Hospital of Heilongjiang China in the city of Harbin as well as the prestigious hospital, (the name translates to English as) The Greatest Doctors of China Hospital. In 2015, Brett earner a degree in Chinese Advanced Doctoral Studies from Heilongjang University Hospital of Traditional Chinese Medicine. This hospital specializes in the integration of Chinese and western medicine. Patients there are cared for with an integrated approach of traditional Chinese medical techniques and theory together with all of the advances of modern western medicine that are practiced here in the United States. During his time there, Brett was fortunate enough to study under one of the most famous and highly regarded doctors in China, Dr. Shentian Sun. Experiencing the amazing results this integrated approach provides was, and continues to be, a major inspiration to Brett. During his time at the Greatest Doctors of China Hospital, Brett worked with national specialists in nutrition practicing in the treatment of obesity, diabetes, and digestive issues through nutritional and lifestyle counseling, acupuncture, and oriental medicine. This was when Brett’s long-time passion for nutritional healthcare reached a new level. Brett is grateful to be mentored by Nita Desai MD as he functions in the capacity of a Nutrition and Lifestyle counselor.